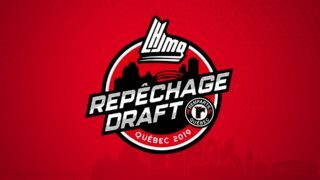 On Monday, February 4, the Gatineau Olympiques will be back at École Secondaire de l’Île for the third straight year to host their annual blood drive, in collaboration with Héma-Québec. This year’s blood drive will once again be dedicated to the memory of Flavie Jubinville, a young student of École Secondaire de l’Île who passed away in 2015 following a battle with bone cancer. The blood donations she received throughout her treatment were crucial in her fight against this deadly disease. The blood drive will be held from 1:00 p.m. to 7:30 p.m. at the school’s cafeteria, located just a few steps away from Robert-Guertin Centre. 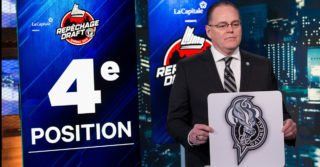 In addition to making an invaluable gift that will benefit many Quebecers, donors will also have the opportunity to meet a few Olympiques players who will be on site during the day. 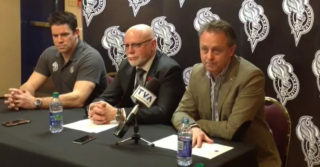 To thank those who will come to the blood drive next Monday, the Olympiques will hand out to each donor a ticket to their game on Tuesday, February 5 at 7:30 P.M. against the Shawinigan Cataractes. Anyone who is healthy and over the age of 18 can give blood. You can verify your eligibility to participate in the blood drive by calling Héma-Québec at 1-800-847-2525, or by visiting their website at www.hema-quebec.qc.ca.